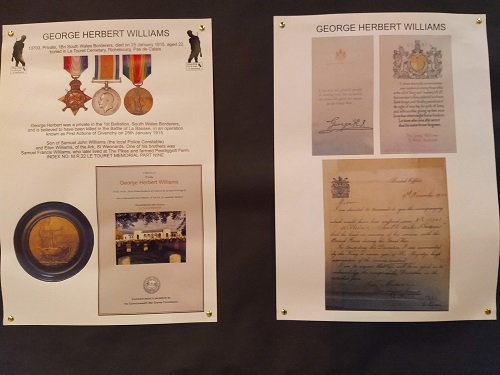 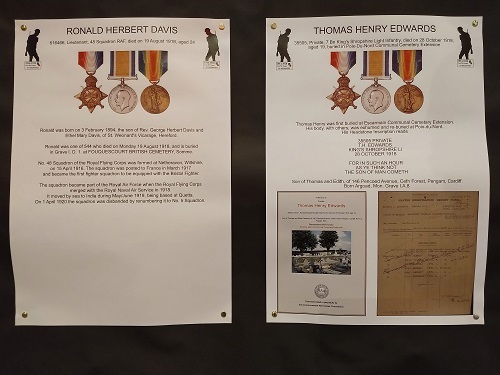 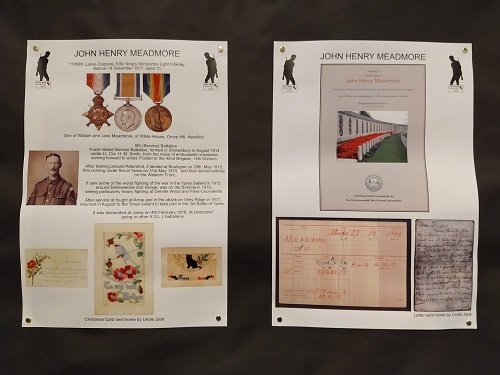 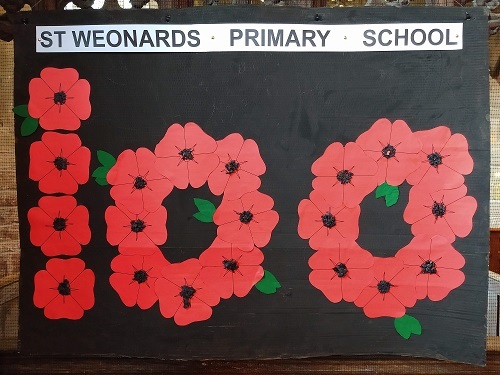 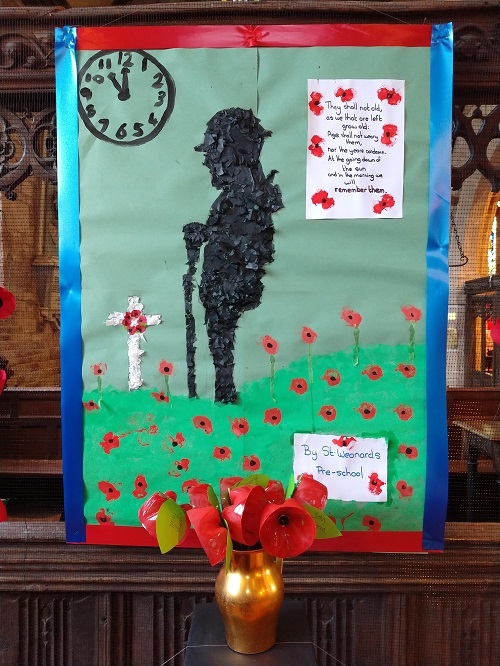 Created by Gillie and Peter Hallewell, this impressive display pulls together information about local families who lost loved ones in the First World War, as well as commemorating those who gave their lives for our freedom in WW2. 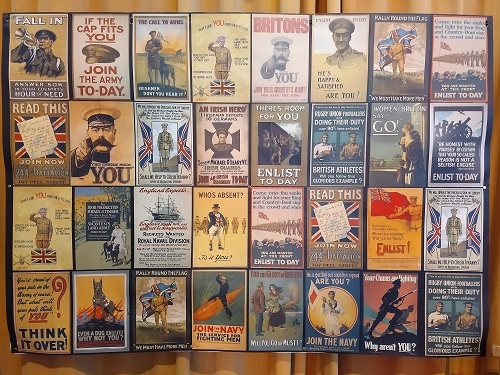 There is also a wealth of fascinating information on the how the war was prosecuted, the development of the first tanks, animals used in the war, and posters used to encourage young men to sign up. 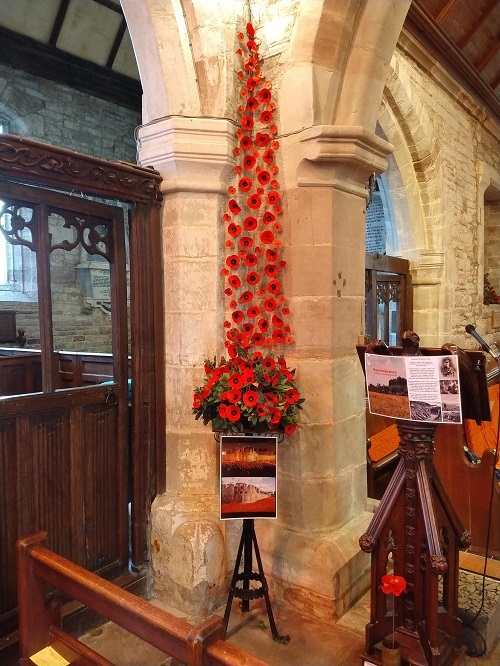 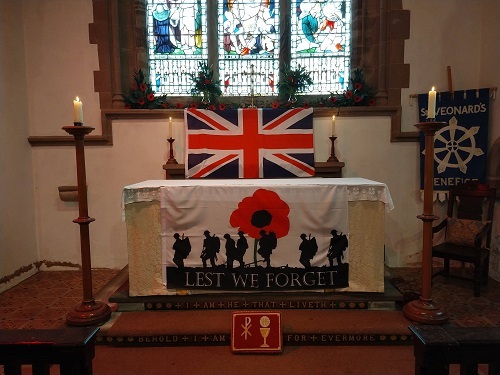 The exhibition is complemented by beautiful poppy displays around the church. 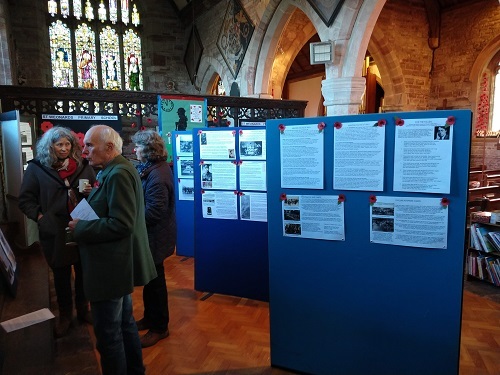 Please do come and visit during daylight hours. 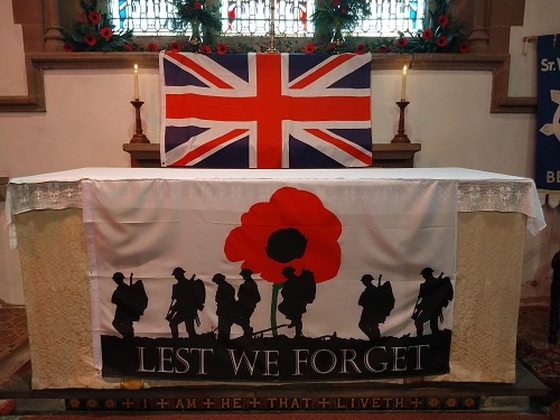 Donations welcome to The Royal British Legion (St Weonards & District Branch) or the church. 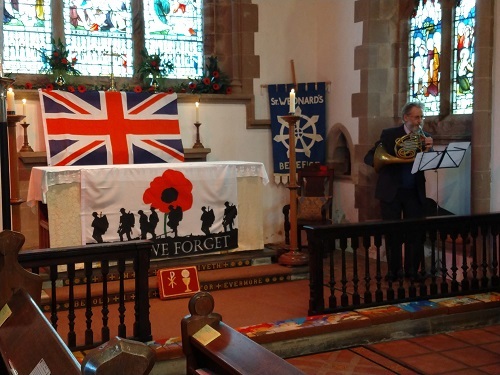 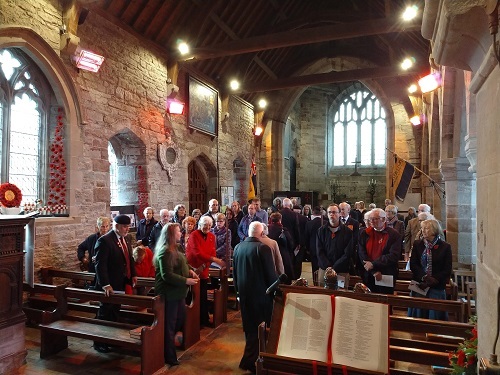 Thank you to all our bell-ringers who came to ring the church bells on Remembrance Sunday ... you can listen to the bells here.